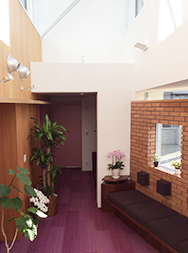 Please call to +81(0)11-733-1155 or email to info@sapporo-fc.jp, and a receptionist will pass your phone call/email on to an English speaking staff member in the clinic. * If the reserved time for your appointment is inconvenient, please call us to cancel and reschedule. – Please let us know if you have any religious or cultural customs that could affect your care. – If accompaniment with a male family member or caretaker is inevitable, please let us know when you make a reservation.